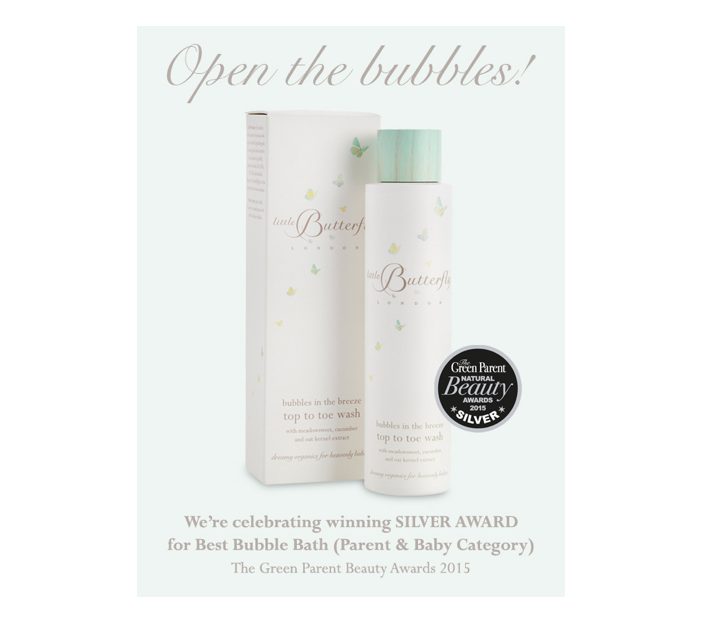 The competition, organised by Green Parent magazine (‘raising kids with conscience’), looks for the finest and most effective natural and organic beauty products on the market. To share the news of the win, I developed the concept ‘Open the bubbles’ and wrote the email content. Visit the Little Butterfly website – with copy, strapline, brand names and packaging written by myself.